Cosplay is not only a hobby, but it can also be a field of yellow pounds like the Japanese cosplayer named Enako. She acknowledged that his popularity and ability attracted many visitors at various events that made him earn a lot of money, one such example being a Comiket event that could even generate 10 million yen in just two days. But Enako is not the only cosplayer that gets a huge income from his hobbies wearing an anime-style costume. On June 5, Abema TV aired a segment entitled Kyuyo Meisai and revealed the amount of income earned by young and beautiful cosplayer number one in Japan, Uramaru. She recorded an income of 10,000 yen per minute just for the photo session plus 1,000 extra yen for each two-shoot he did with the fans. Although the price is quite expensive, the participants said if the photo session together with Uramaru worth more than 10,000 yen. Some fans who are still student status are even willing to save money on their part-time work and go to Nagoya every month to take pictures with the girl. 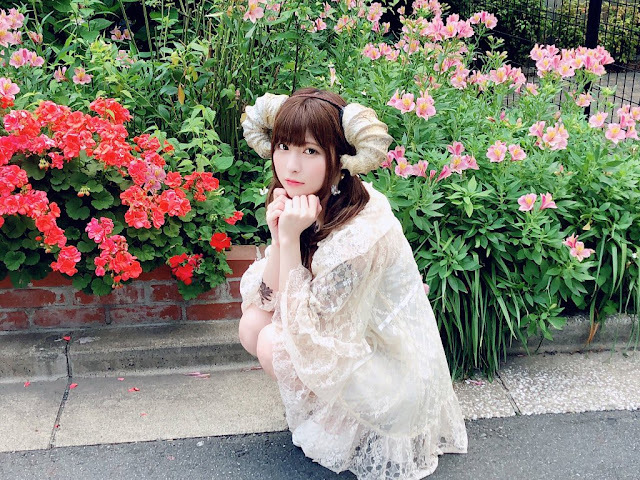 During the process of recording the income made by the program Kyuyo Meisai, the beautiful cosplayer is able to earn as much as 277,000 yen, including from photo opportunities and merchandise sold. Uramaru can pocket 20-30% of his sales, he also schedules two to three photo sessions every month and performs on the radio to create character designs. Abema TV co-inspected her residence in Tokyo, where she rented a room with a kitchen for 85,000 yen. His wardrobe was filled with anime costumes, but he lived quite simply, seen from the inventory of ramen. Ultimately, the program reveals Uramaru's monthly income of about 300,000 yen, he who signed the contract with the agency also has a large fixed income.